LANGKAWI, FEBRUARY 2019 – ‘Langkawi Lady’, a Berjaya-owned luxury yacht, is all ready to set sail in the Langkawi Island. 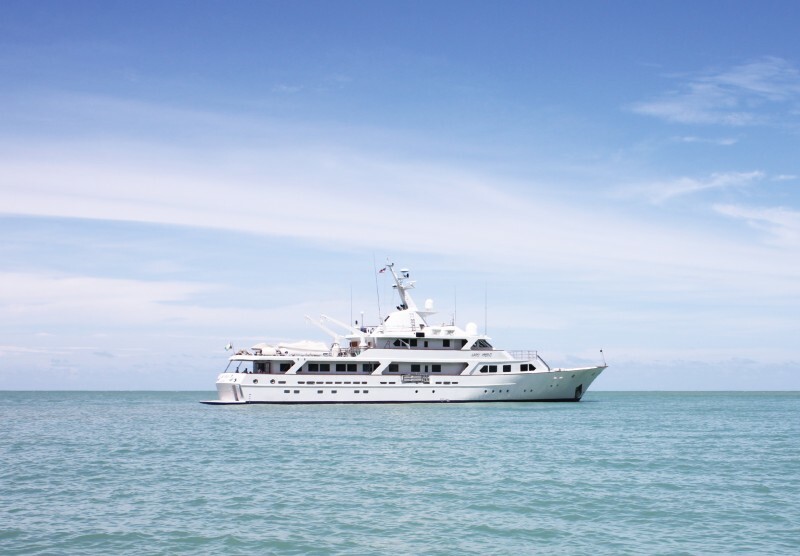 With the ‘Langkawi Lady’ yacht, guests staying in Berjaya Langkawi Resort can now opt for a vacation that offers privacy and experience the joy of being on a chartered yacht. 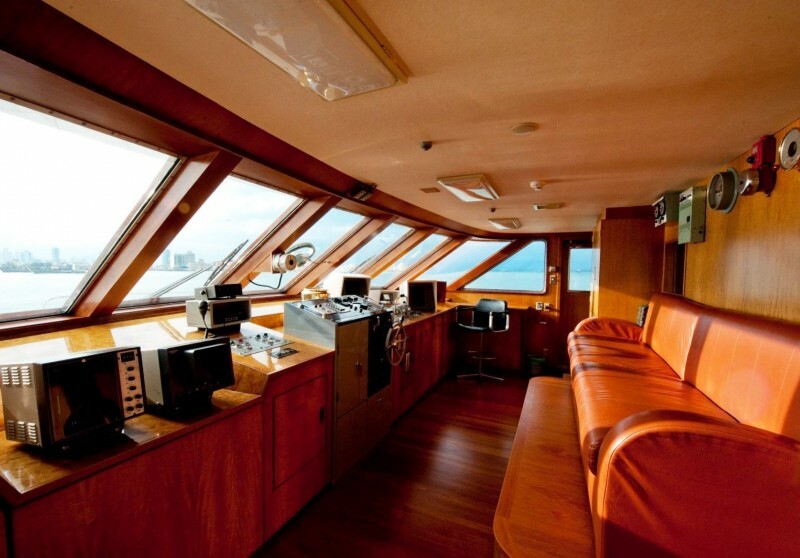 ‘Langkawi Lady’ is a 48-metre motor yacht which was built by Nishii Zosen K.K./Sterling Yachts in Ise, Japan. Her maximum capacity is 30 guests and 13 crew members. To ensure a luxury yacht experience, the interior has been configured and designed to comfortably accommodate 20 guests in 8 cabins and 13 crew members in 6 staff cabins. There are a few charter packages available for weddings, private events and gatherings. The duration for sunset cruise is 4 hours, full day cruise is 8 hours and overnight charter is 24 hours. Upon reservation, guests can pre-arrange their food and beverage from Berjaya Langkawi Resort. Throughout the cruise, private chef and butler will be onboard to cater to their requests. For couples who would like to host their wedding ceremonies on the Langkawi Lady, ceremonial requirements such as flower arrangement, decoration, wedding cake, champagne toasting, lunch and F&B service can be arranged as well. ‘Langkawi Lady’ also has a mini bar and a mini kitchen, with coffee and tea making facilities. 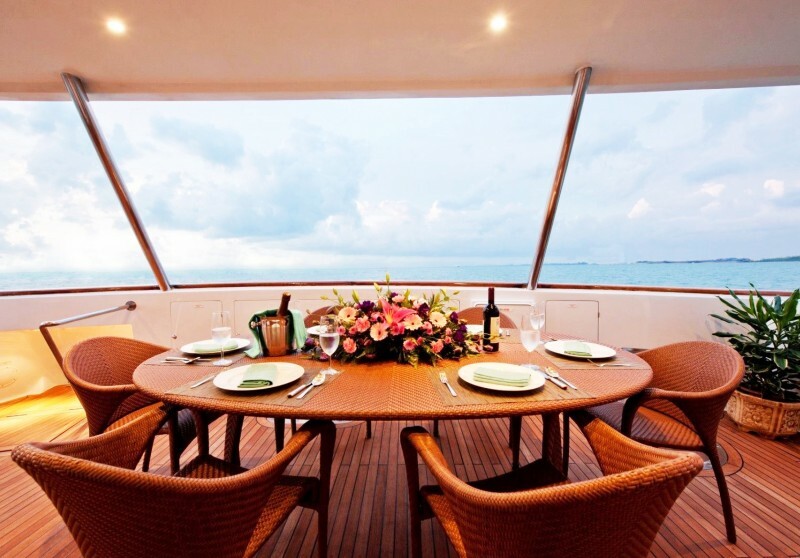 With these facilities, guests can enjoy a freshly prepared meal served on the deck. There is also a sun deck with comfortable outdoor chairs and loungers for guests to enjoy the beautiful sunset view while indulging in their favourite drinks and light bites. For guests who prefer to stay indoors, there are air-conditioners in the cabins as well as common areas for them to chill and keep cool in our hot tropical weather. Meanwhile in the cabin, there are single beds, twin beds and bunk beds available. Bathroom amenities will be provided in every cabin. In addition, professional crew members are always on standby throughout the cruise. “Sailing around Langkawi will grant you an exclusive access to some of the most wonderful sceneries of the western coastline and the Andaman Sea. With ‘Langkawi Lady’, our guests will have the option to experience an extraordinary holiday in Langkawi and see things from a different perspective. I can assure you that the excursions arranged by the resort are nothing short of impressive. Mesmerising views of the surrounding islands of Langkawi archipelago will definitely leave a lasting impression,” said Mr Pravir Mishra, the Area General Manager of Berjaya Langkawi Resort. ‘Langkawi Lady’ was constructed according to ABS (American Bureau of Shipping) classification society rules to ensure it is at the forefront of maritime safety. Designed by the naval architect Sterling Scott, this luxury yacht is fitted with stabilisers which work at anchor. These help to increase guest comfort when the yacht is stationary in rough waters. Powered by 2 Caterpillar main diesel engines, ‘Langkawi Lady’ is capable of reaching a top speed of 16 nautical miles per hour, and comfortably cruises at 14 knots. Berjaya Langkawi Resort is situated at Burau Bay, 30 km off the coast of Kedah, on the chattels of Langkawi Island. Being one of the famous island hotspots amongst local and foreign tourists, the resort offers a wide range of recreational activities such as yacht cruise, island tours, sea sports and more. Set within an island titled as the World Geopark by UNESCO in 2007, the 412-room 5-star resort also offers a selection of suites, water chalets and rainforest chalets. Added with the extensive traditional elements at Taaras Spa, endless dining options as well as various meeting facilities including large ballroom in the island, a holiday or business conference at Berjaya Langkawi Resort promises a host of memorable adventures.